If Tom Sawyer and Huck Finn had come of age at the end of the twentieth century looking for an all-American adventure, they probably would've headed for Vegas. 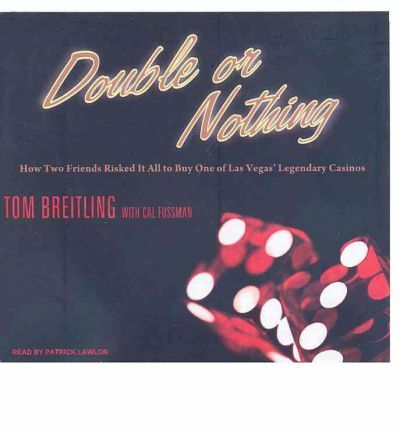 However, they'd have been hard-pressed to go on a wilder ride than the one taken by Tom Breitling and Tim Poster to the top of the famed Golden Nugget Hotel and Casino.Call them the Odds Couple.Breitling is the kid who lives next door if you grow up in Burnsville, Minnesota. He never saw a hundred dollar bill or The Godfather until he went to college. Poster comes from a family of oddsmakers who reach for the Doritos on football Sundays and scream for the point spread. He was whistling Sinatra and booking games at his Las Vegas high school.Their unlikely friendship began in college over an eight-dollar veal parmigiana sandwich that led to a partnership in a hotel reservation business. Starting with a desk, a chair, a pillow, and a telephone, Tim and Tom grew a company that they sold during the dot.com boom for 5 million. This allows Tim to pursue his childhood dream of owning a casino and bringing back the glory days of Vegas.When Tim ups the odds and raises the limits to give gamblers the best game in town, a craps player nicknamed "Mr. Royalty," who's on one of the hottest winning streaks in history, heads for the Nugget. When he begins to take Tom and Tim for millions, the partnership is put to the test. But Tim refuses to back off on the odds or the high limits, telling his partner, "It's a ballsy proposition here. It's gonna be a roller coaster ride. But we don't have a public company to answer to. It's just you and me. "When Mr. Royalty rolls twenty-two consecutive passes and rakes in a mountain of chips, he takes Tim and Tom to the brink. They must figure out a way to hold up the House.Just as they do, the roller coaster ride really gets rolling-and the ride becomes crazier than they'd ever imagined. About the Author: Tom Breitling is the president of Breitling Ventures, a private investment company. A graduate of the University of San Diego and a mentor at the Andre Agassi Preparatory Academy, he lives with his wife in Las Vegas.